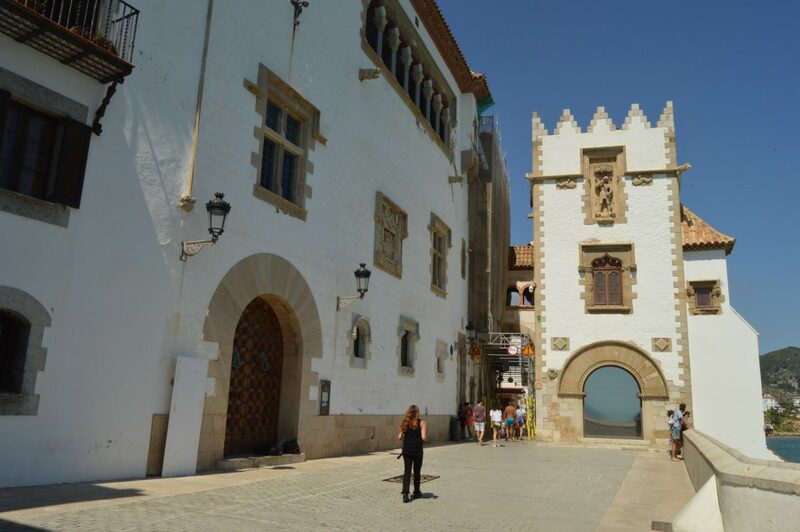 Sitges, located only 40km from Barcelona is considered the Saint Tropez of Spain, for the cost of living and his white streets. 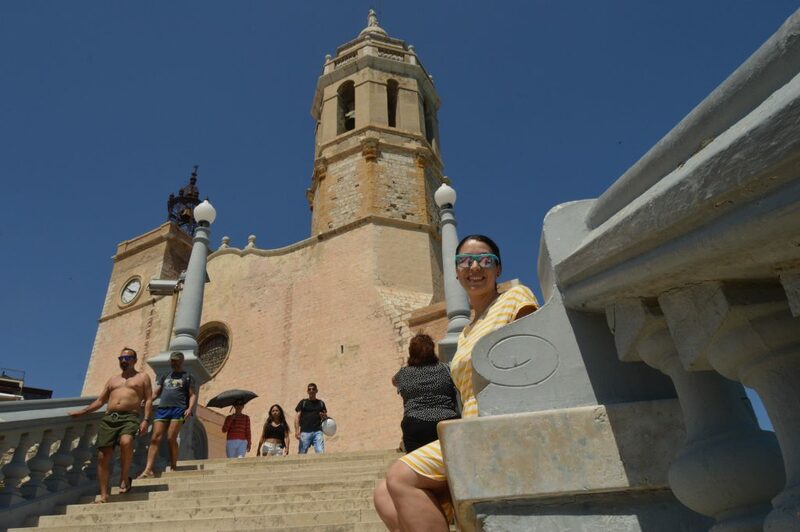 Sitges receives tourists all year round thanks to a Gay-friendly policy proposed in many events organized by the city. Renowned worldwide for its Film Festival in October, one of the world’s foremost international festivals specializing in fantasy and horror films. Carnival is another good excuse to visit Sitges, the city is filled with people, fashion shows, and events. The nearest airport to our destination today is El Prat of Barcelona, once you land at T1 a direct bus will bring you in 30min to Sitges. Check schedules and prices in Mon-bus webpage. If you land at T2, you will need to take the train, as the bus does not stop at this terminal. There is a bus stop 200m from the terminal exit, follow the signs. If you are in Barcelona for the weekend and you want to go to Sitges during your journey you can take the train (in order of departure) from Franca station, Passeig de Gracia, and Sants. In 40min you will arrive in Sitges, the price of the return ticket € 8.20. Another option is the bus that has the same price but it puts us more for the various stops (especially that of the airport late a lot). 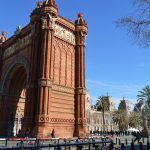 Have you arrived in Barcelona and want to know how to get to the center? Read here! 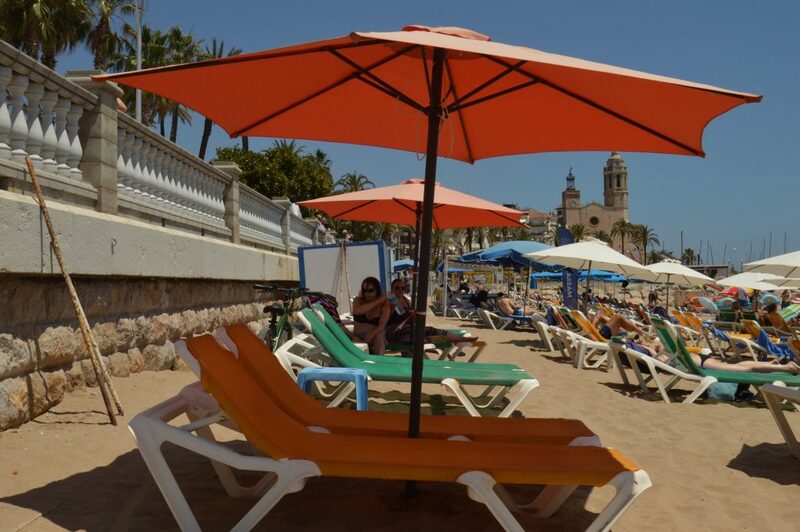 Today, Sitges’ economy is based on 4.500 hotel beds, not the cheapest ones. Almost 35% of the approximately 26,000 permanent residents are from the Netherlands, the UK, France, and Scandinavia, whose children attend international schools in the area. Especially during the carnival or during the film festival I recommend booking in advance or staying in Barcelona. There are night buses that go back and forth all night every hour, last train heading to Barcelona is at 21.45h. 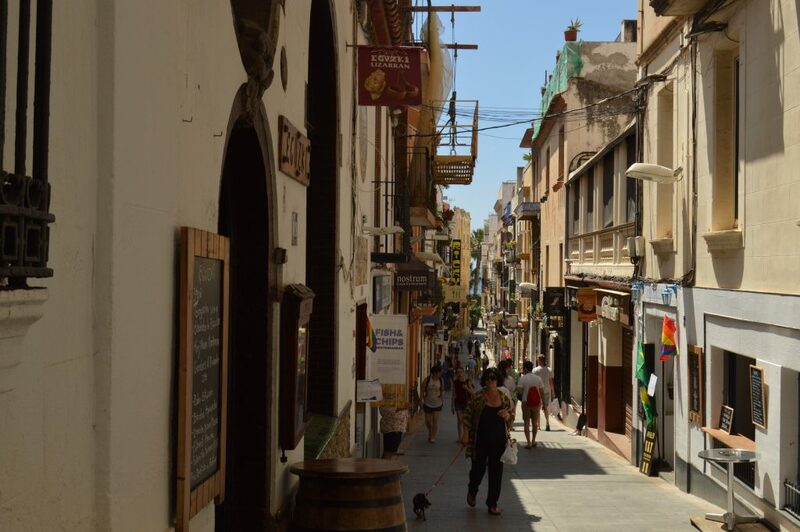 Sitges is always a great option both in winter and in summer. Walk through the streets of this village, have a cocktail with a sea view or visit the various museums that the city offers. The municipality always organizes activities all year round and keep an eye on the web (unfortunately they do not have a page in English). If you want a map once you arrive, right at the exit of the station, you will find the tourist information point of the city. 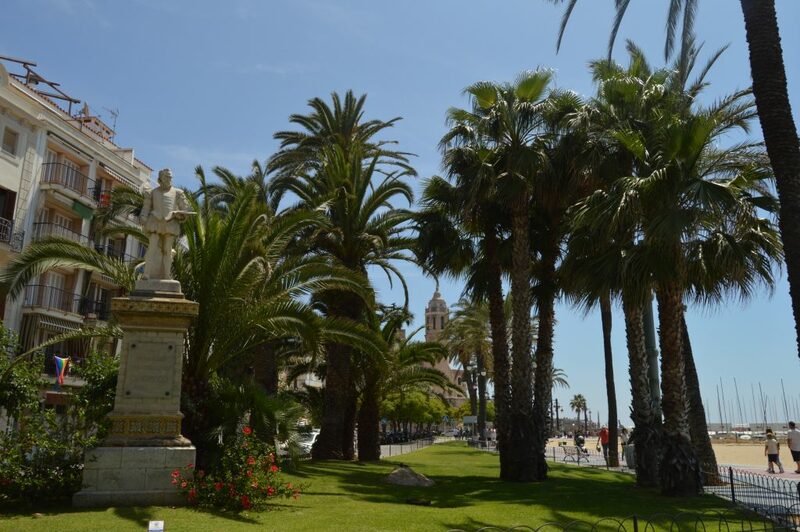 Sitges has two beaches, the main Ribera beach and San Sebastian beach which is located once passed the parish of San Bartolomeo and Santa Tecla. Both beaches have public showers, a free beach and a part with sun loungers and parasols for a fee. If you have rented a car, I suggest you go to the Marina beach. It is located north of the city, right after the port. You can also walk 1.6km, or take the SL3 bus leaving from the station, leaving every 30min. 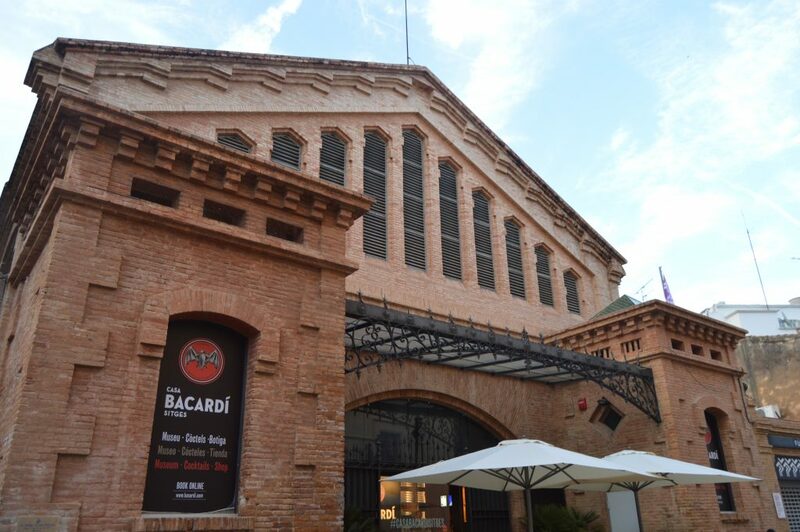 Another option is to take a trip to the Bacardi house, where you can take a tour or a cocktail course (only the adults are allowed to enter). Opening times: February 1st to December 31st, From Wednesday to Sunday: from 12 pm to 2 pm & from 4 pm to 8 pm. Tour in Spanish, Catalan, and English. Ticket price € 12. If you want to do a cocktail tour + masterclass the price is 35 €. Personally, I find that although a bit expensive Sitges is a great place to eat. If you are tired of the usual patatas bravas try the Tapadera in the center, eat well and go from sushi to tapas a bit special. 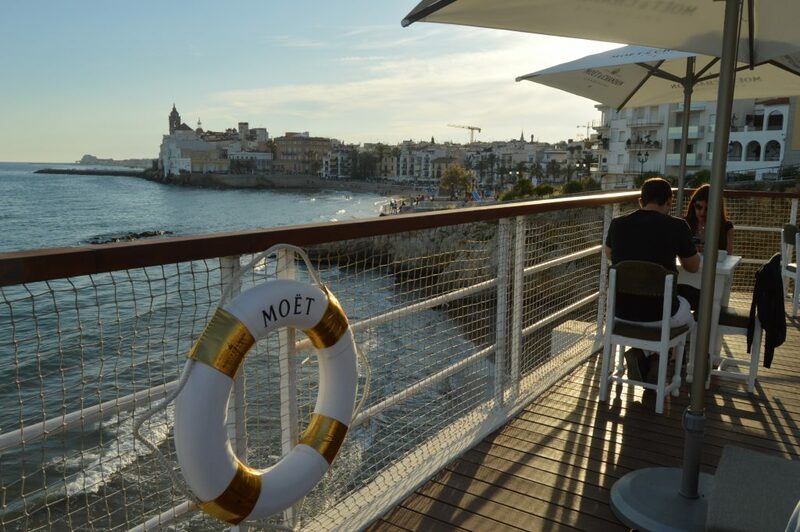 If you want to try one of the most famous restaurants is the Caleta of Sitges, in front of the port (€€€€). If you are a fan of cocktails I recommend the terrace of the Vivero beach club, overlooking the beach of San Sebastian, cocktails starting at 10 € (yummy) and made at the time. If you want to stay for dinner/lunch under the terrace have a restaurant overlooking the sea. Have you thought about a romantic dinner? No problem. Hotel El Xalet, 200 meters from the station, opens the doors of its illuminated garden with a pool view for an intimate dream dinner.